Having won the 2016 Asian Karting Championship in the Micro Max category, Indian karter, Shahan Ali Mohsin has moved to karting in Europe. 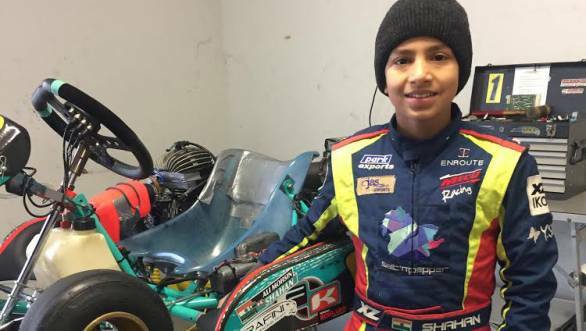 The twice Indian National Champion in the Micro Max category has singed with the Formula K Junior team for the 2017 season of the World Series Karting championship. Shahan will compete in the Mini 60 category of the championship, that begins on 27th January and ends in April. The championship will be held over four races, with a WSK Champions Cup that precedes the races. "I am really thrilled and looking forward to the huge challenge that lies ahead of us this year. Ever since we won the Asian Karting title last year, we have been working hard on our plans for 2017 and try to put together a really challenging programme that forces me out of the comfort zone and accelerates my learning curve", said Shahan. 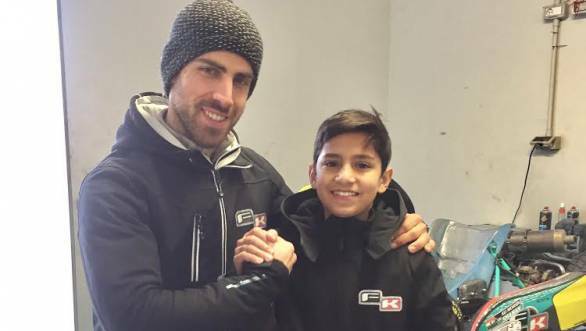 Shahan went on to say that given the fact that Italy is the centre of world karting, he believes that it is the perfect place to begin his European Karting career. Having already completed some tests earlier this month, Shahan also said that he was aware that the journey ahead was going to be difficult, and the level of competition very high. The Formula K Junior Team is the headed by former racer Juri Serafini. But more about this weekend's race - the WSK Champions Cup. There are a total of 106 karters in the Mini 60 category. During a series of time trials and heats, 72 drivers will be eliminated, while 34 drivers will make it to the finals. Watch this space to find out how Shahan does.